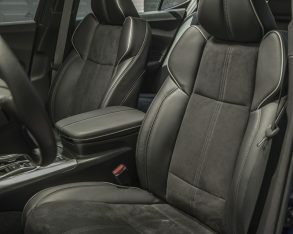 In today’s SUV-crazed world it’s getting harder and harder to hawk sedans, even by premium brands. 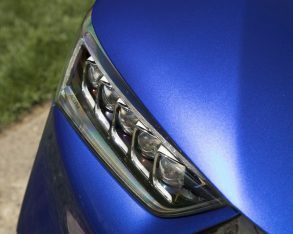 The compact D-segment, which appeared impenetrable just a couple of years ago, saw every single model less Audi’s A4 lose market share from the 2015 calendar year through 2016. 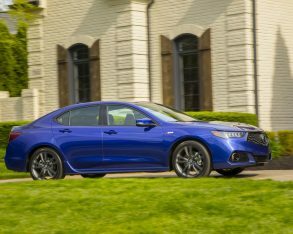 That list includes BMW’s mighty 3 Series and Mercedes’ equally strong C-Class, plus Acura’s TLX that outsells all non-German contenders. 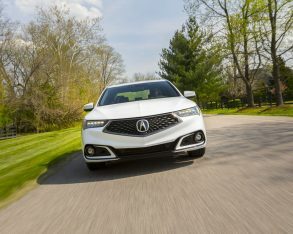 While far behind BMW and Mercedes on the D-segment sales chart, Acura came close to matching Audi at the close of 2015, the TLX’ first full year, with 5,075 sales compared to 5,461 for the A4, and the four-ringed German brand was able to boost its numbers by including A4 Allroad crossover wagon deliveries. 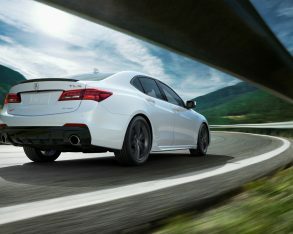 More importantly, the TLX blew away its Japanese rivals with Lexus only selling 3,401 IS sedans and Infiniti just 3,295 Q50s. 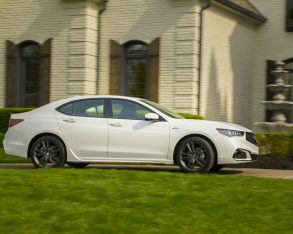 Still, as calendar year 2016 ended the entire D-segment had slowed considerably, with the TLX accounting for just 4,137 sales (compared to 3,033 IS sedans and 2,969 Q50s), while by the close of Q2 2017 its numbers had fallen further to 1,818 units compared to 2,082 after the first six months of 2016 (although still ahead of the IS at 1,607 and Q50 at 1,131), which means the dramatically refreshed 2018 model couldn’t come soon enough. 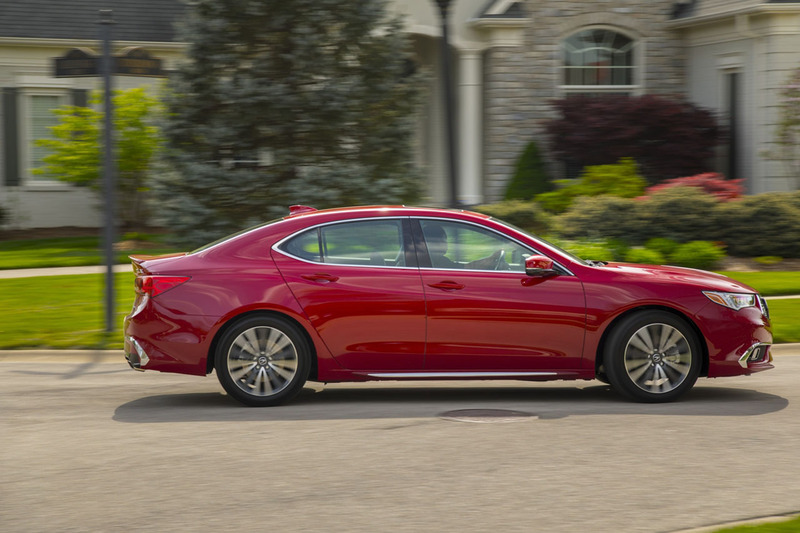 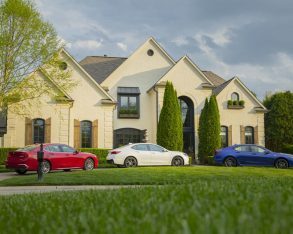 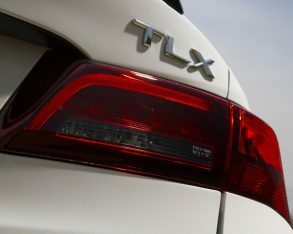 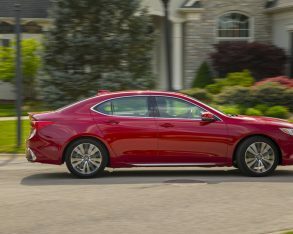 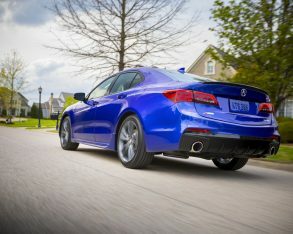 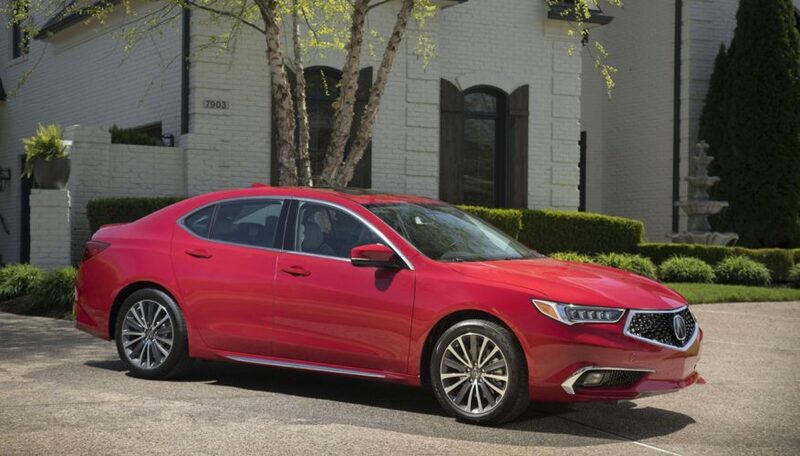 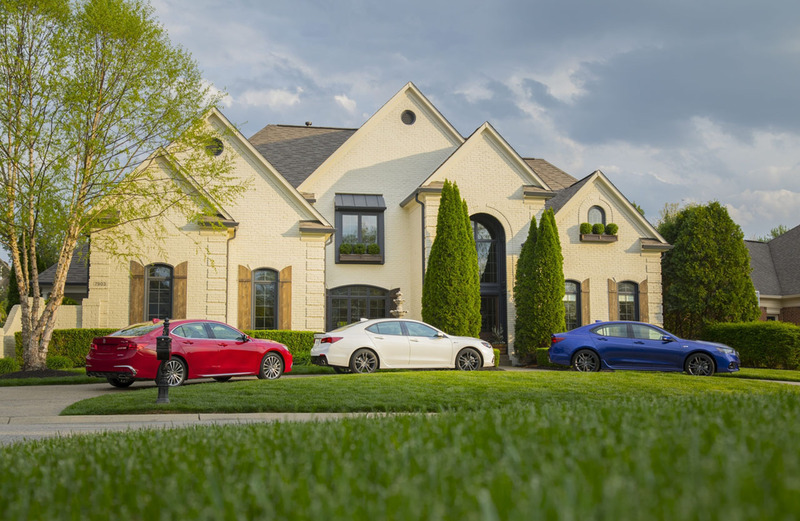 TLX sales are looking more positive since the new model went on sale June 1, with a monthly total of 391 units compared to 348 during the same 30 days last year. 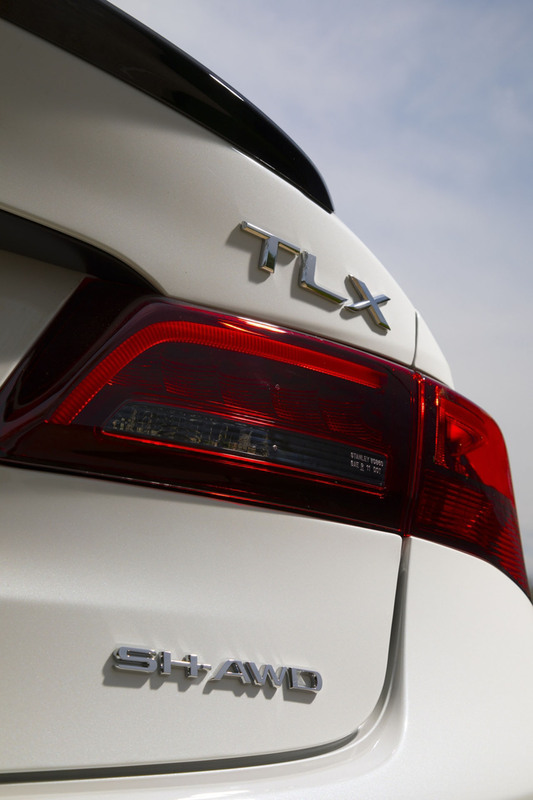 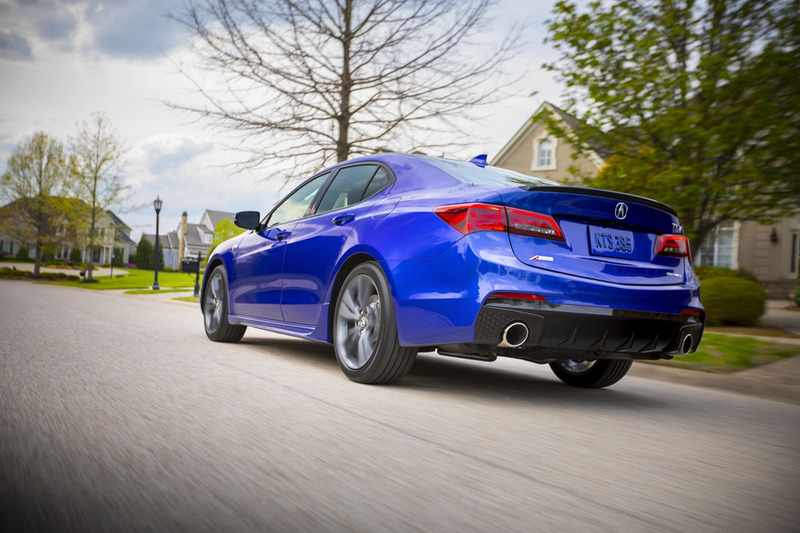 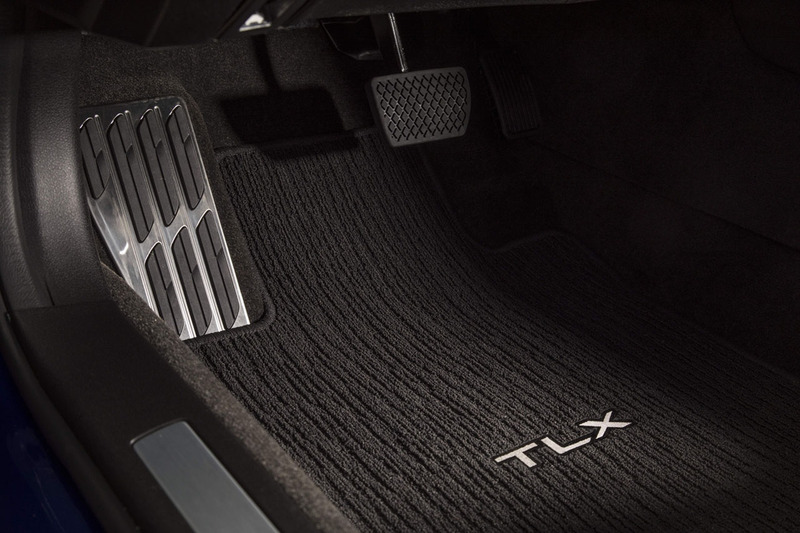 What’s more, this new high resulted in the TLX’ best June ever. 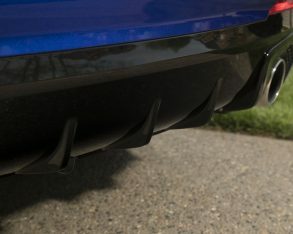 Of course, judging the full impact of the updated model will take more time, but it has certainly started off on the right track. 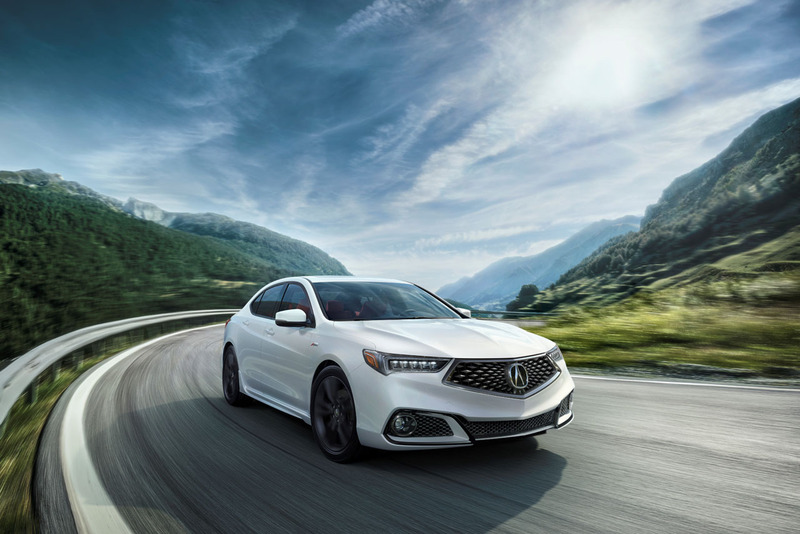 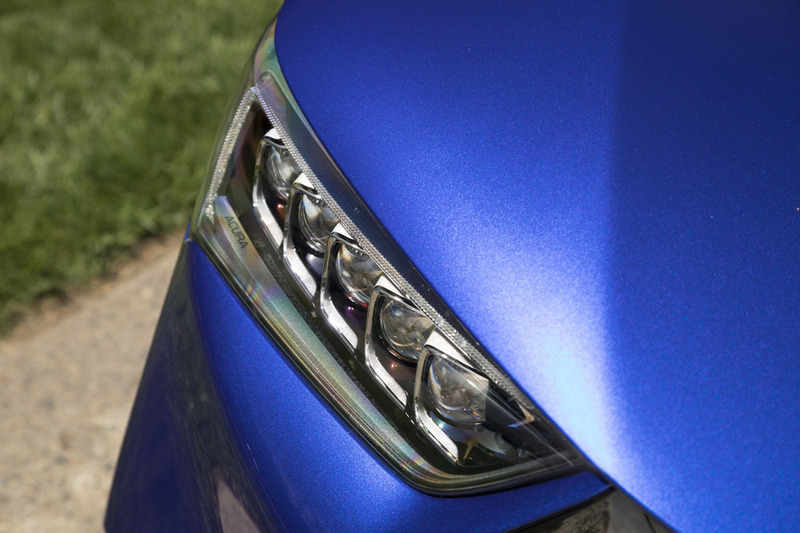 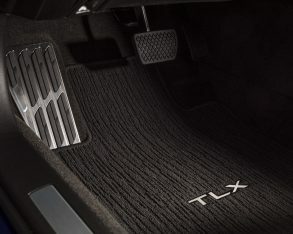 In the TLX’ corner is a dramatic mid-cycle refresh that gives the car a fresh new look, its Acura Precision Concept-inspired “diamond pentagon grille” making the biggest visual statement. 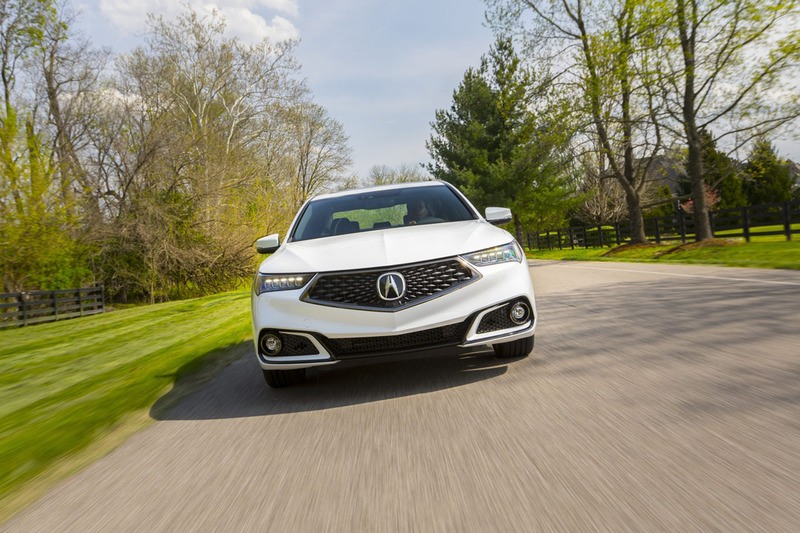 Its sharply chiseled appearance should look familiar, as the ultra-popular 2017 MDX crossover SUV received its version first. 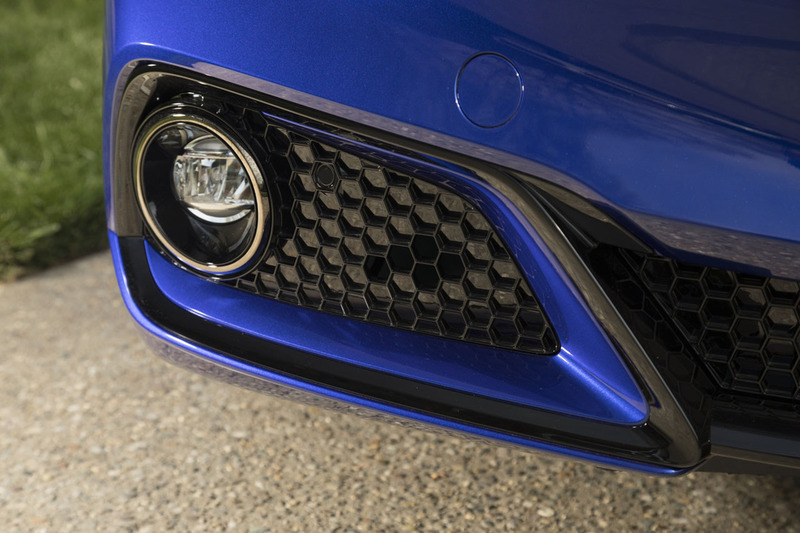 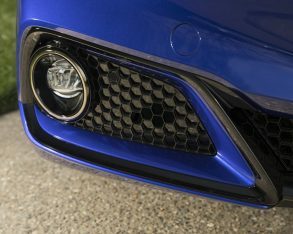 The bold new grille is underscored by a complementary lower front fascia, which either comes to a body-colour point at centre or gets filled with a wide engine vent featuring a sporty honeycomb mesh insert. 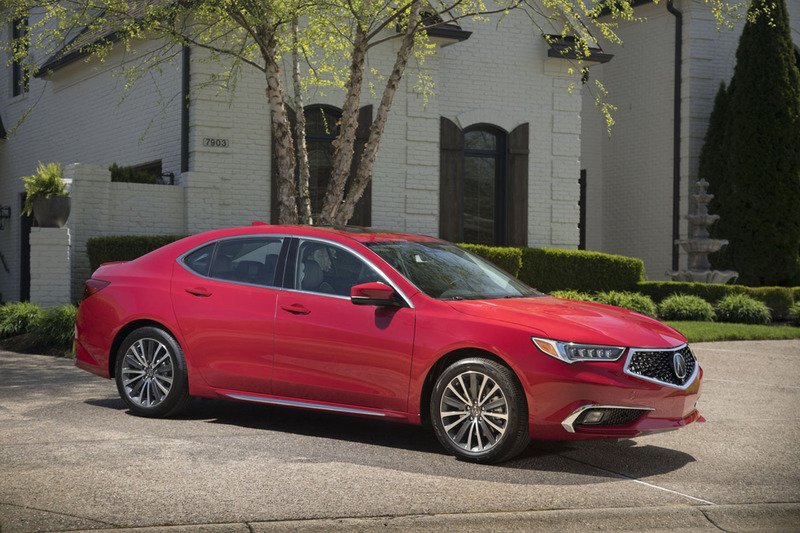 The 2018 TLX’ hood gets more sharply sculpted creases, whereas the front fenders have been reshaped to meld cleanly into the new front styling. 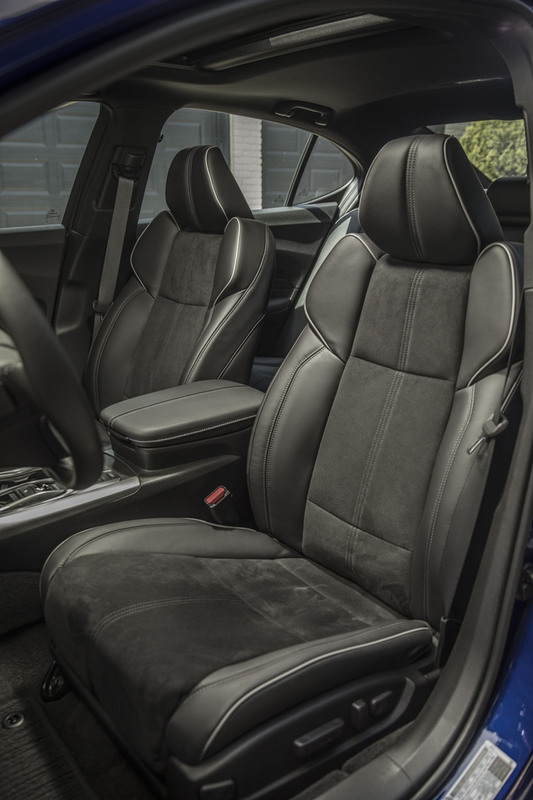 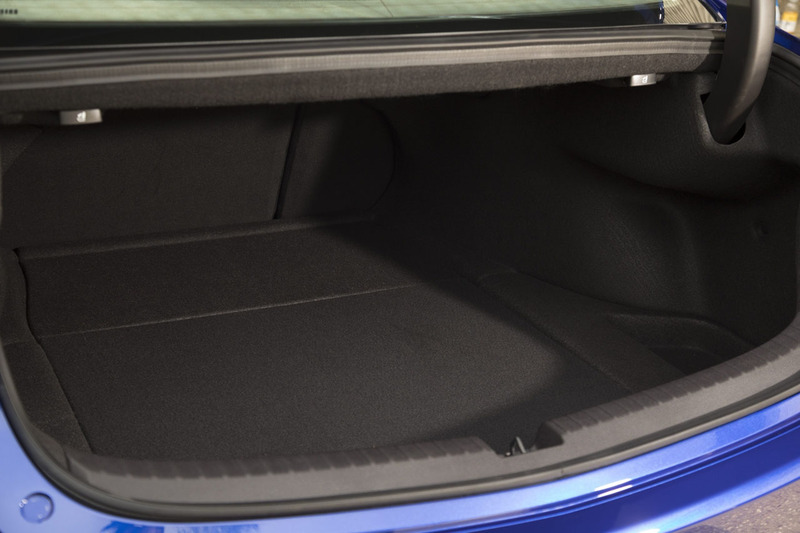 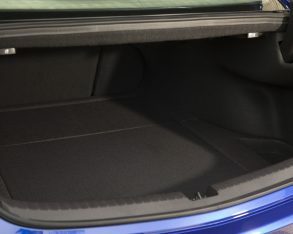 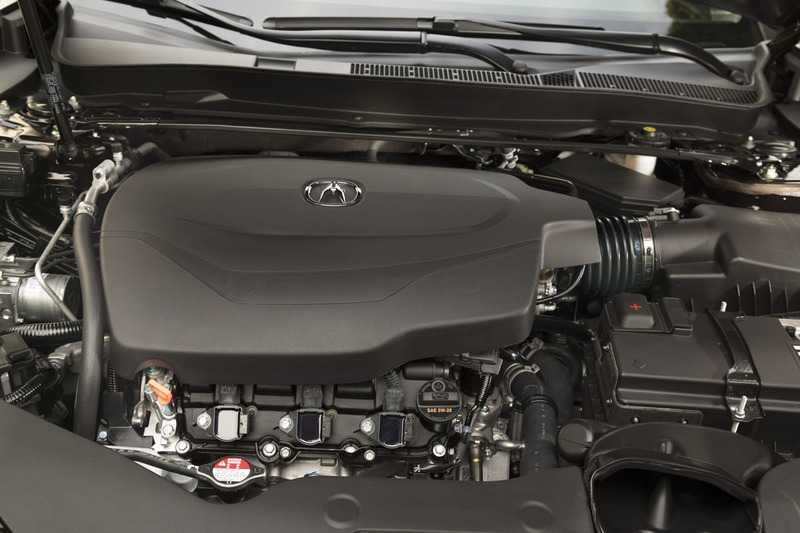 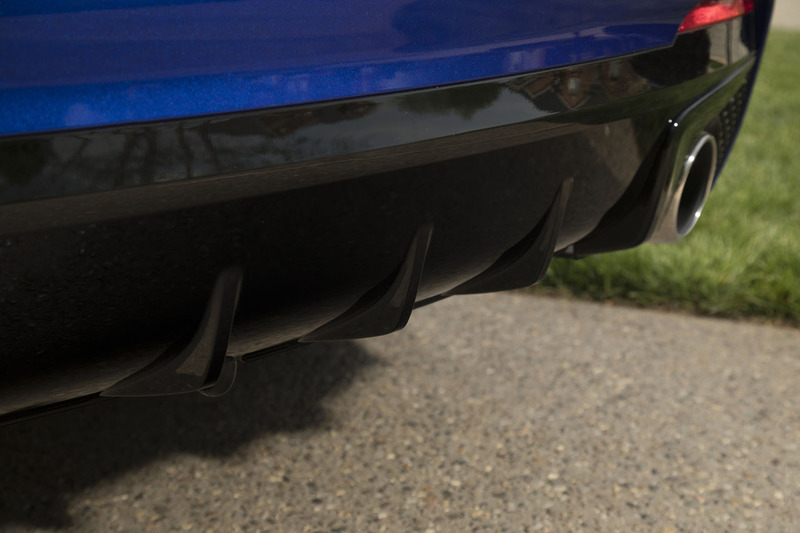 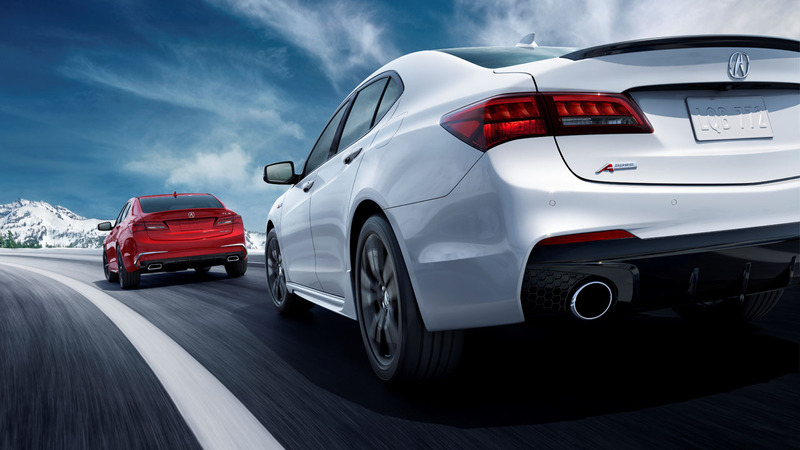 Milder changes down each side and in the rear finish off the look, while all models now sport dual exhaust ports. 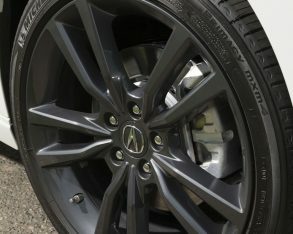 The sportier lower fascia just mentioned is exclusive to the new A-Spec variant that adds yet more visual drama due to a unique matte-black grille insert, a dark appearance for Acura’s signature five-lamp Jewel Eye LED headlights, unique black honeycomb mesh bezels for the circular LED fog lamps, body-colour rocker extensions down each side, “smoked” LED taillights, and an aggressive black diffuser below the rear bumper, housing bigger four-inch dual exhaust finishers. 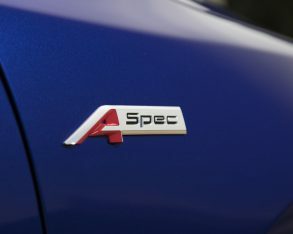 The A-Spec also replaces the regular model’s chrome trim with matte black side window surrounds and dark chrome around the front grille, making the latter look larger in the process, while bright chrome trim is deleted from the front fascia and the usual body-colour rear deck lid spoiler gets a glossy black treatment. 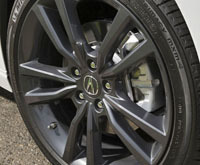 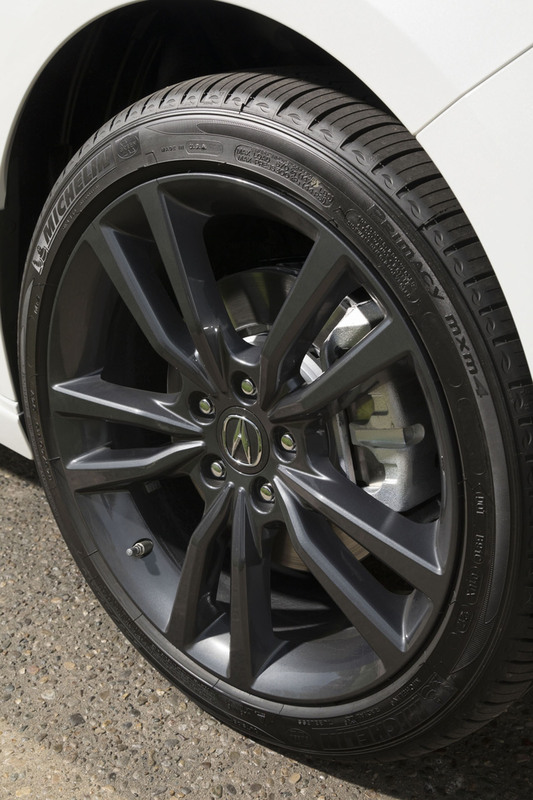 Acura rounds out the A-Spec design with a set of menacing looking twinned five-spoke Shark Grey 19-inch alloy wheels on Michelin Primacy 245/40R19 tires, in place of the more luxury-oriented model’s bright machine-finished multi-spoke 17-, 18- and 19-inch rims mounted on more modest rubber. 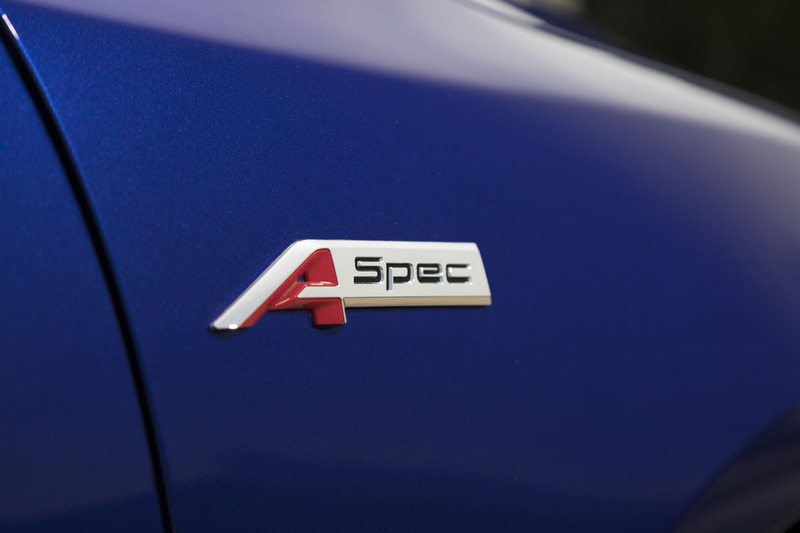 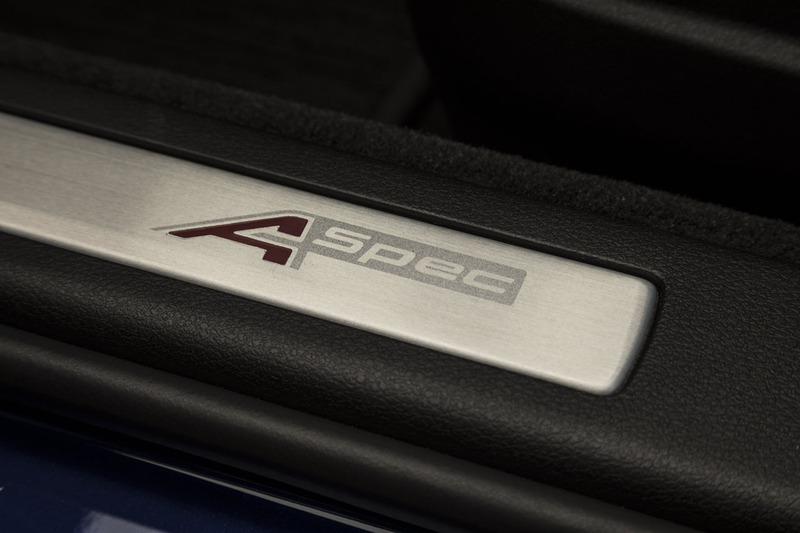 As a finishing touch, A-Spec badges are added to the front fenders and rear deck lid. 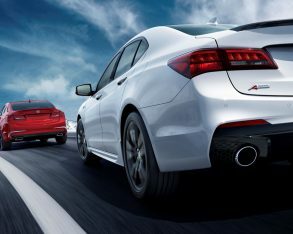 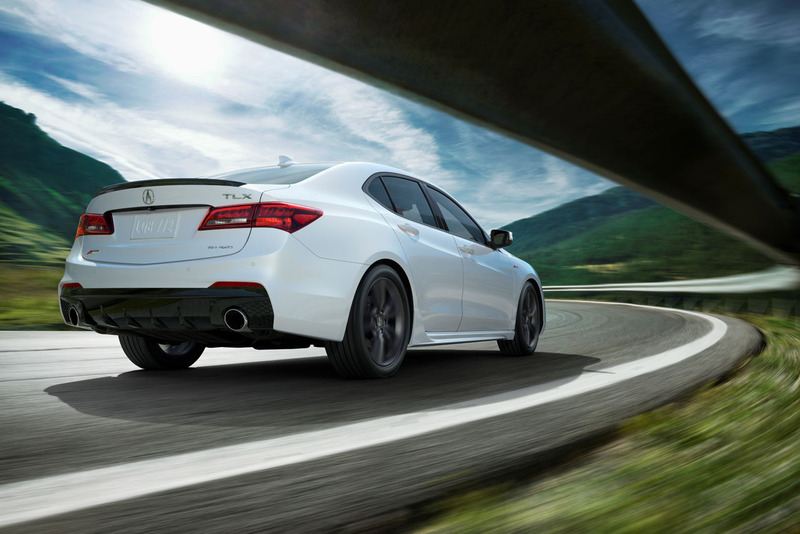 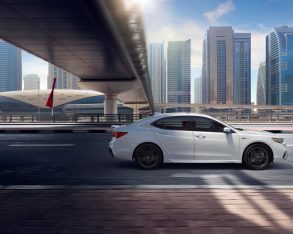 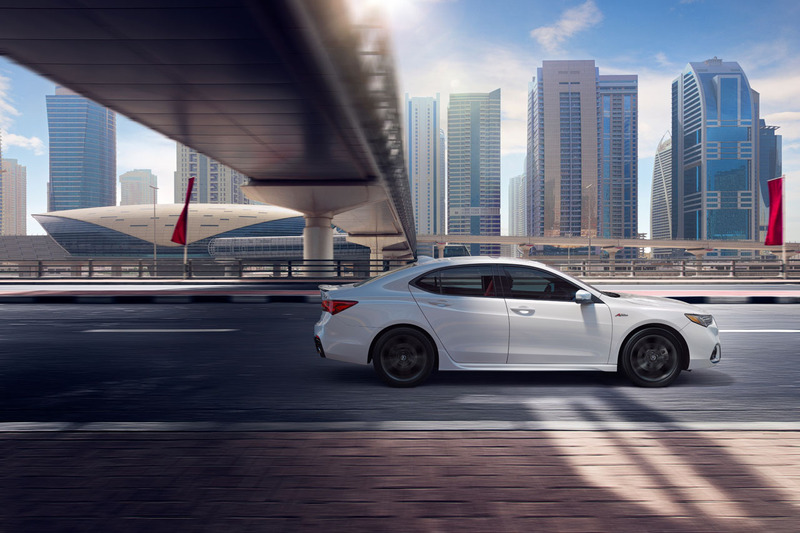 Acura retuned the A-Spec chassis to match the uprated wheel and tire package, with a focus on electric power steering and damper settings, whereas SH-AWD-equipped cars also incorporate a quicker, more responsive steering ratio, stiffer spring rates, and a thicker rear stabilizer bar. 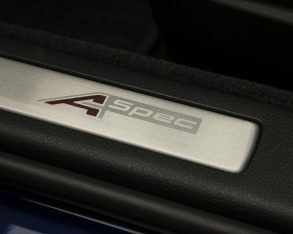 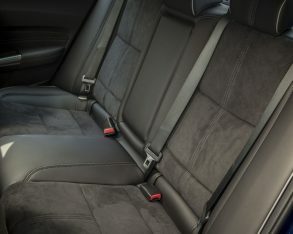 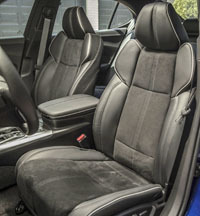 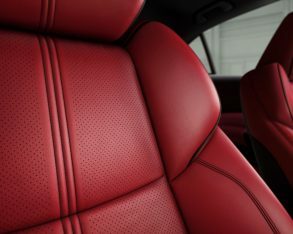 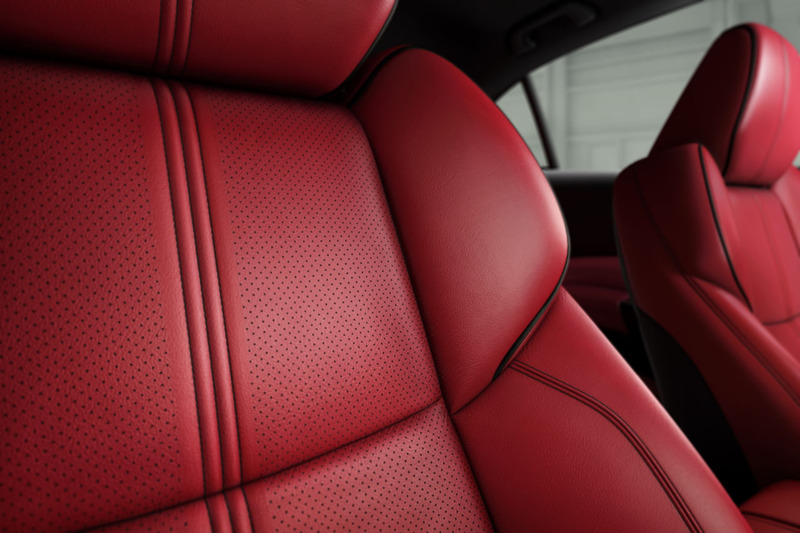 Additionally, the A-Spec model gets a sportier interior that includes an exclusive leather-wrapped steering wheel with a thicker rim and an A-Spec badge, bright red needles and indices for the primary gauge cluster, brushed aluminum-look trim for the instrument panel and lower console edges, red ambient LED light piping under the inlays, along the edges of the lower console, and within the cupholders, a black headliner and roof pillars, plus heavily bolstered front seats featuring contrast stitching and piping. 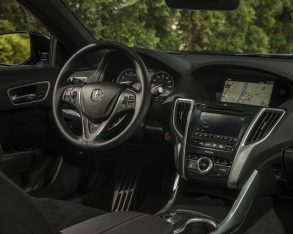 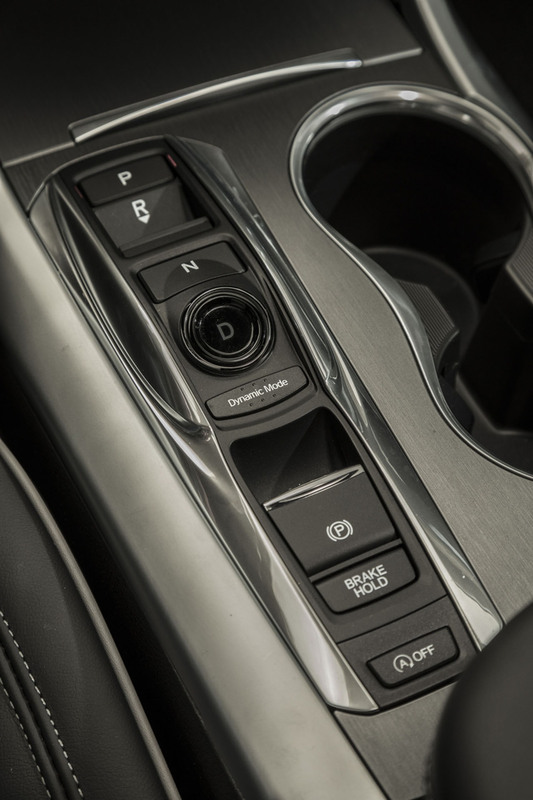 All 2018 TLX models will benefit from Acura’s completely redesigned ODMD 2.0 dual-screen infotainment interface, which is claimed to include “more intuitive menus and command structures.” The old resistive touchscreen has been replaced by a new 7.0-inch capacitive version, with 30-percent quicker response times plus Apple CarPlay and Android Auto compatibility. 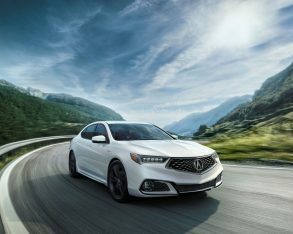 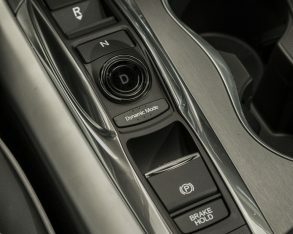 What’s more, every new 2018 TLX receives a standard suite of AcuraWatch advanced driver-assistance systems (ADAS) including Forward Collision Warning, Collision Mitigation Braking, Lane Departure Warning with steering wheel haptic feedback, Lane Keeping Assist, and Road Departure Mitigation, while blindspot monitoring with rear cross-traffic alert is optional. 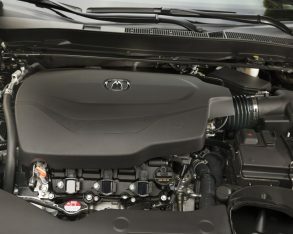 As per usual in the luxury class, pricier premium unleaded is recommended for both engines in order to achieve best possible performance and fuel economy, but they’re reasonably efficient with five-cycle ratings ranging from 10.0 to 10.2 L/100km in the city, 7.1 to 7.4 on the highway, and 8.7 to 8.9 combined for the four-cylinder FWD model, or 11.4 to 12.0 L/100km city, 7.7 to 8.2 highway, and 9.8 to 10.3 combined for the V6-powered SH-AWD model. 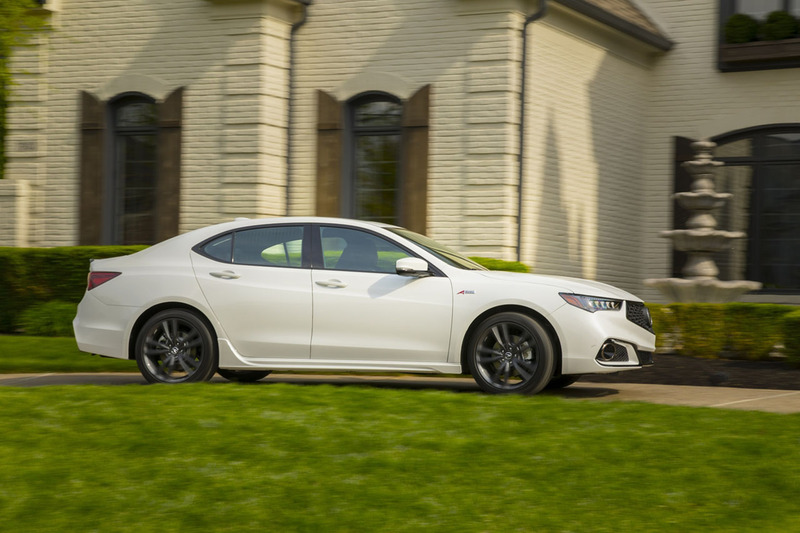 The 2018 TLX undercuts most of its competitors with a starting price of $35,990 plus freight and fees, while SH-AWD models start at $40,990. 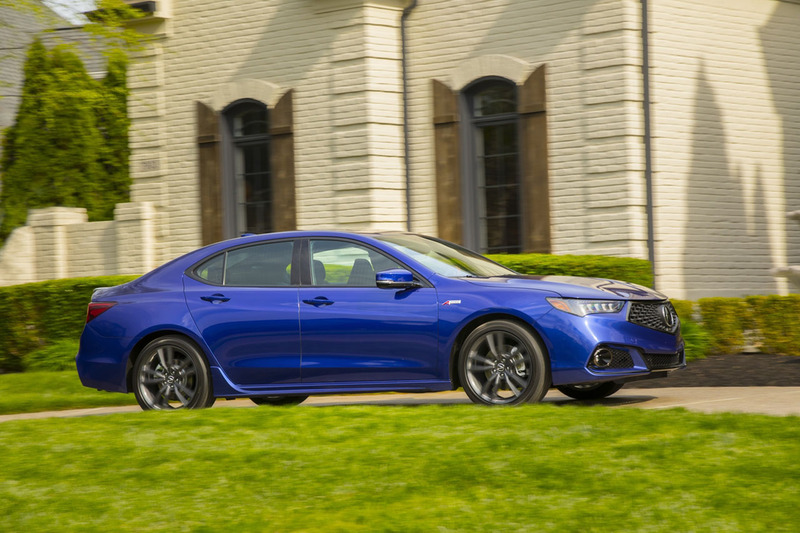 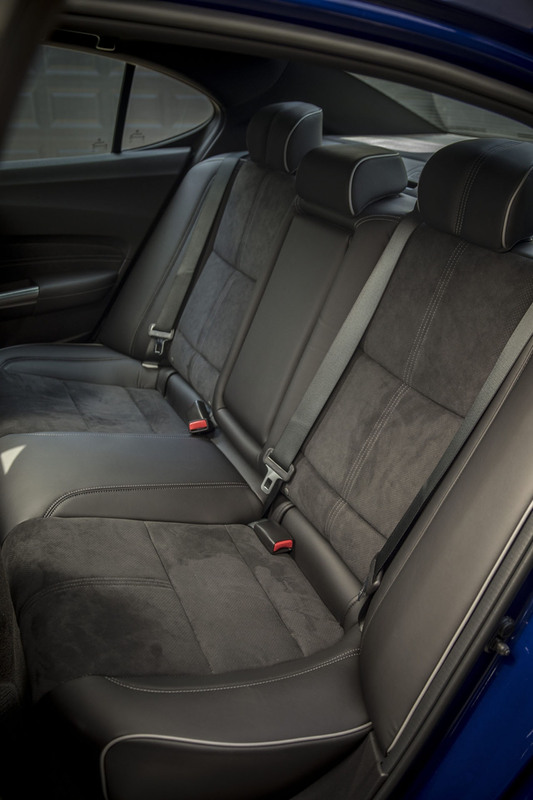 The new A-Spec package can be had for just $42,190 when fitted to four-cylinder FWD trims, whereas the TLX A-Spec SH-AWD models start at $47,390.